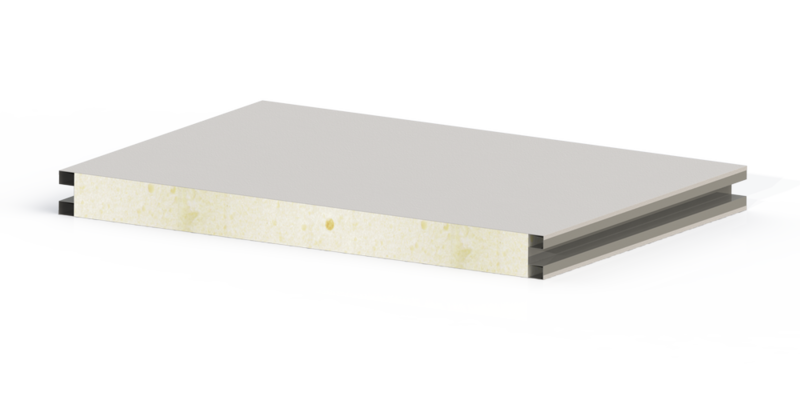 Sandwich panels insulated with polyurethane foam, with aluminium perimeter frame. The junction system with an aluminium profile always ensures perfect alignment to walls. The use of polyurethane foam ensures excellent mechanical strength.